Ever since I was a little kid, I have loved swings. Even in high school I would make my friends go to the park with me just to swing. 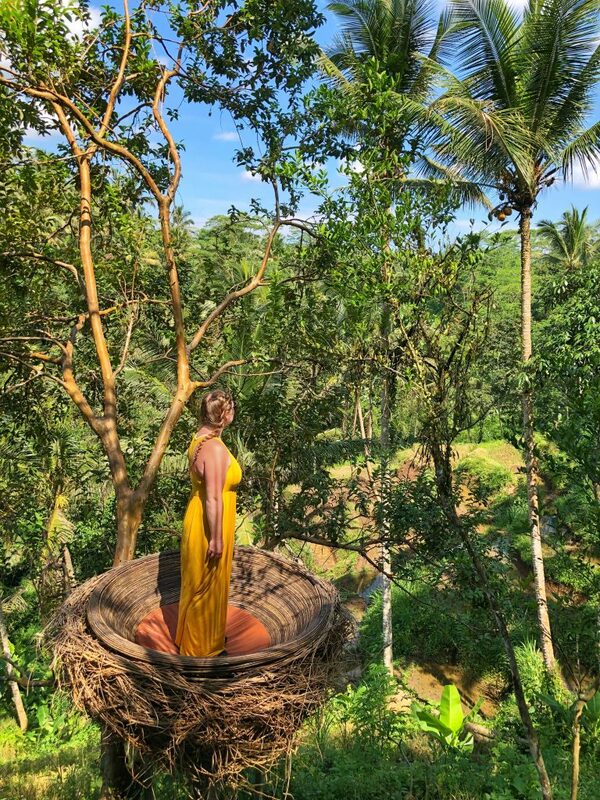 So you already know visiting Bali Swing while I was in Ubud was a must! Since I loved it so much, I decided to make a little guide of the place. The location, the costs and what to expect when you get there… it’s all here! 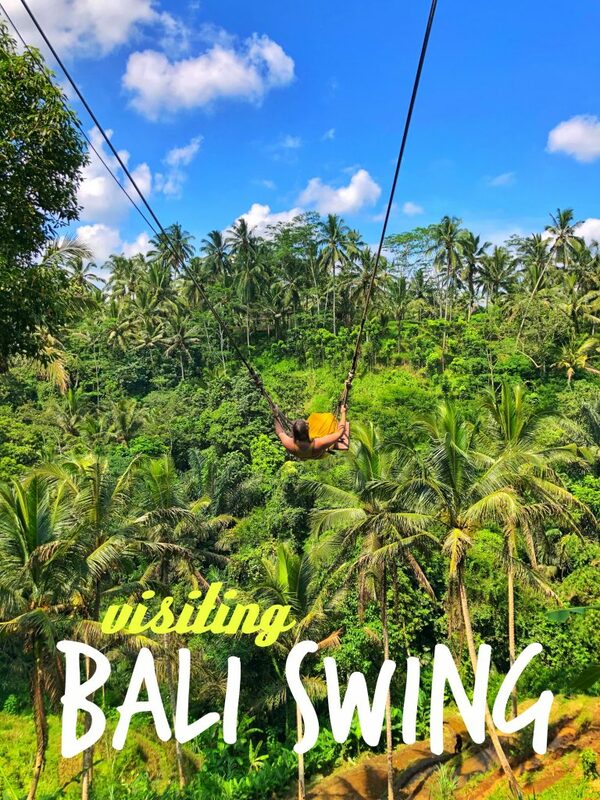 Keep reading to learn what you need to know about visiting Bali Swing. Let’s start off with the most important part, is it safe? Yes. The bali swing is safe. 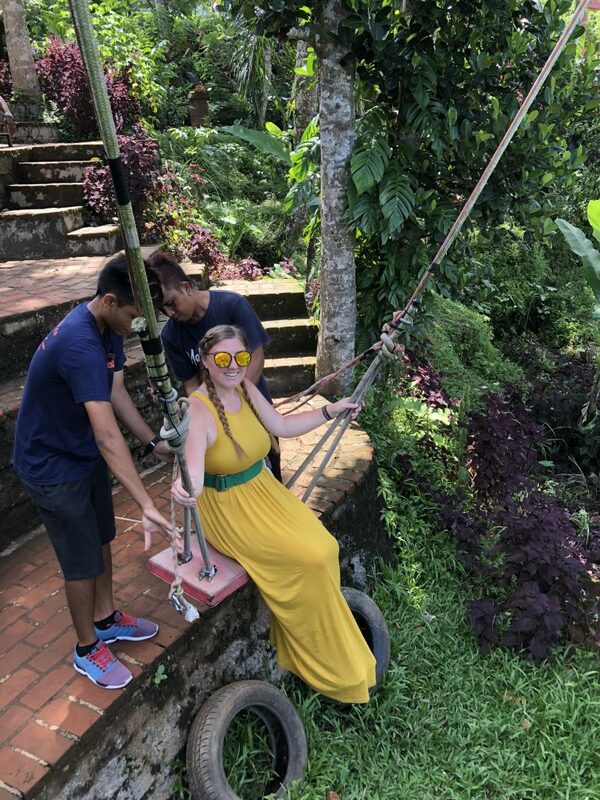 They strap you down onto the swing so you aren’t able to fly off. Plus there are about 4-5 different staff standing around you while you swing. As long as you’re not being a crazy lunatic while swinging, you’ll live – I promise. They even recommend you holding your arms up while taking pictures of you because the strap allows you to be the secure to the swing. Heck, one staff member even had me dab while on the swing. I went on a Friday and surprisingly the line wasn’t long at all. I only had to wait for one person and then it was my turn! I’d say I went around 3PM. Others have been known to wait in line for awhile. Honestly, it probably depends what time of the year you go. I went during the raining season (more specifically March), so maybe there are even more people there during the summer. This is all a guess… but either way, cross your fingers and maybe you’ll get lucky like me and not have to wait in line! I didn’t buy tickets ahead of time or go through a tourist company. I went straight to Bali Swing and bought a ticket at the entrance. There are different prices depending on what you want to see. 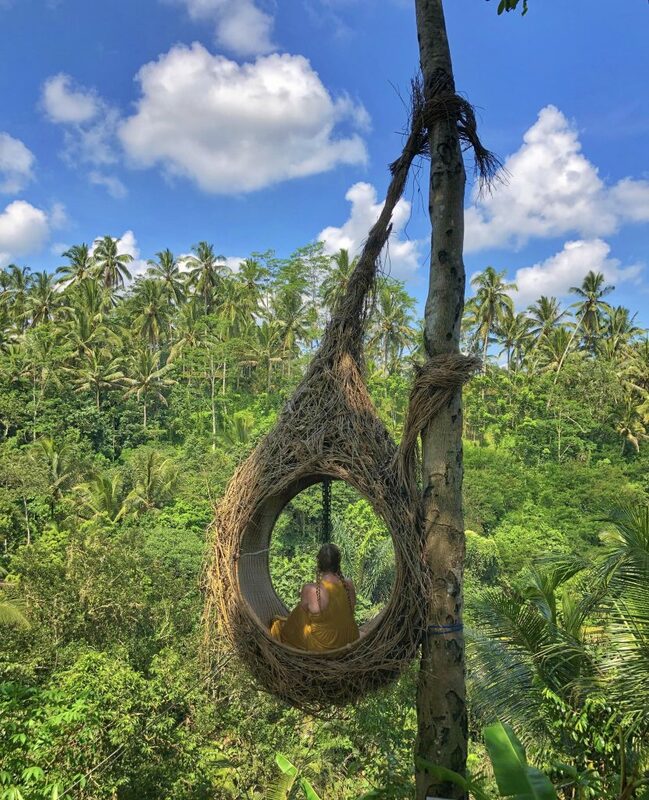 If you are only wanting to see the Bali Swing and the bird nests, the entrance fee is $15 USD. This includes time on the swing, pictures with the bird nest and tea/coffee tasting. There is also a fee of $35 USD if you want to see more. This will include time on the swing, pictures with the bird nest, tea/coffee tasting, lunch and over 20 other activities. Note: I went to the swing in March of 2018. Prices can, of course, change at any time. 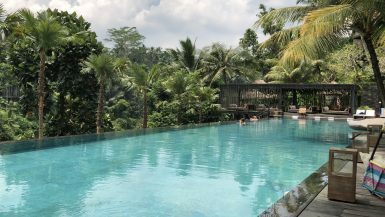 Check out their official website here before visiting Bali Swing to be completely certain of the price. Aside from the bali swing, an entrance ticket also allows you a free tasting of a variety of their different teas and coffee. I’m not a coffee drinker but their teas were definitely delicious. There were SO MANY to choose from. 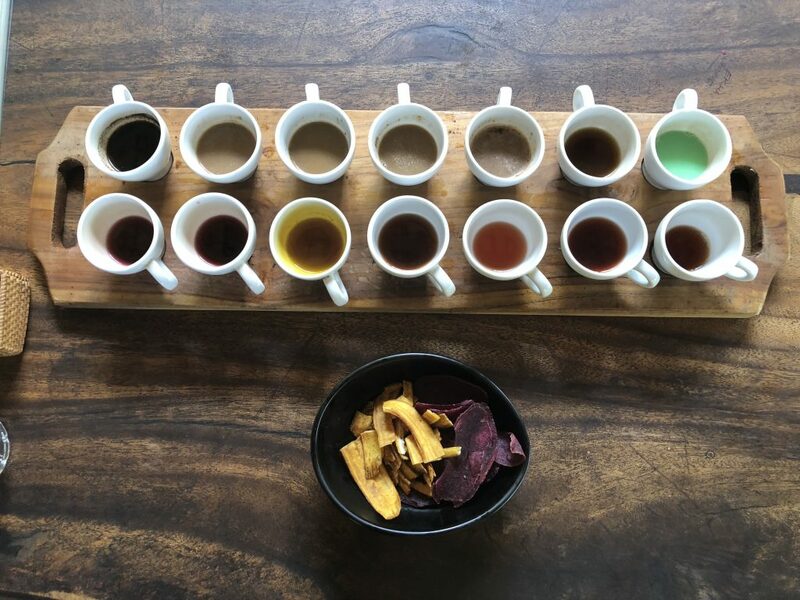 What’s really cool is each tea/coffee is organic and is used for different parts of your body. Some are suggested for stomach problems, people with cancer, etc. Be sure to read the information book they give you about each tea or coffee. They do a type of “coffee tour.” Like I said, I don’t like coffee so I didn’t personally do this but it is offered to you at the beginning when you first walk in. I was told by a couple I met that the coffee is made from the poop of a luwak cat. Yup…. poop. Which is exactly why I didn’t feel too bad that I missed the tour. BUT, tons of people on the island love the coffee. So who knows… maybe you can try it and love it too! Let’s face it…. they made this place for all the girls who want to look cool on Instagram (yeah yeah I’m a little guilty). That’s where these bird nests come in. There are two nests that you can take pictures in with the $15 USD entrance fee. They both require you climbing up ladders with the help of some of the staff there. Whoever is working will take a bunch of pictures of you and it’s included in the price of your swing ticket… and don’t worry, they’ve taken so many pictures to the point where they’ve become pros at getting the best shots! There are also four other bird nests that I was unable to get pictures with. These are included with the $35 USD entrance fee ticket. And of course you’ll get badass views of Bali. Worth it, right? Need to know more? Check out Bali Swing’s website here. 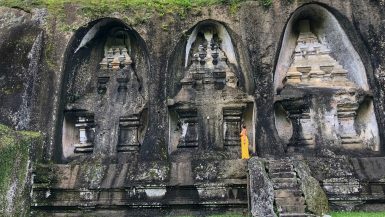 That’s the main highlights of this well known Bali attraction. 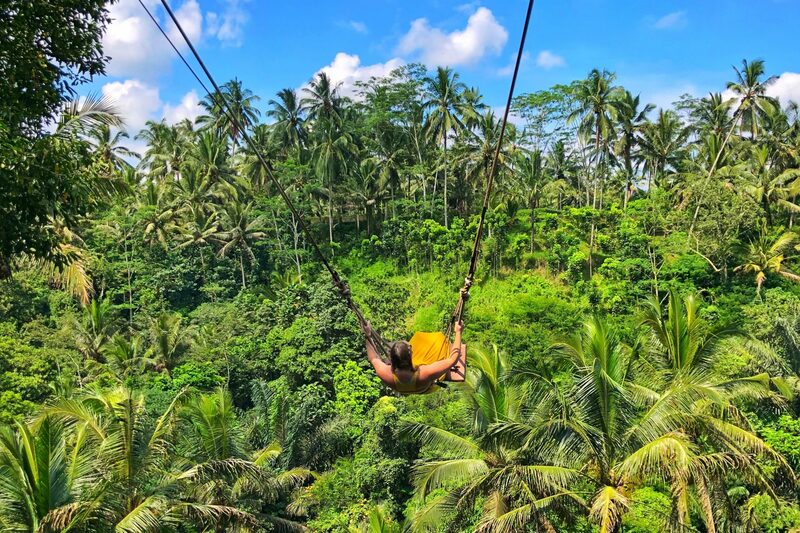 Would you be up for visiting Bali Swing? If so, would you try the cat poop coffee? Tell us your opinions comments below! Hi! It’s me again. When did u visit this Bali Swing? I opened the Bali Swing website attached on your article and it was said that the price is 35$, instead of 15$. Is there any coupons or special discount that we can get? Or maybe this is the holiday season in Indonesia, so they doubled the price? 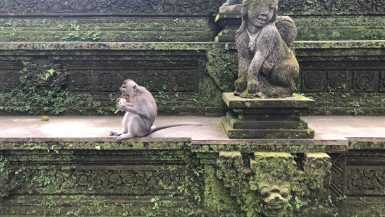 i went to the Bali Swing back in March of this year. if i remember correctly it costed me about 200,000 rupiahs. there is also a tour that talks about their coffee and how it is made. maybe that is in with the $35? i did not do the tour due to me not being a fan of coffee. don’t take my word on it, but that could be the reason for the difference in price. No, we went to Bali swing and it’s a rip off. They’re charging $35 which includes swinging, photos in the nest, and buffet lunch etc. You have to still pay the full 35 even if you just want to picture on the swing. So instead of ripoff “Bali Swing,” we went to Alas Harum swing. It was a night and day difference from Bali Swing. There is no entrance fee to see the Lewak and see how the coffee is processed. There is a free tasting of coffees (not including Lewak which is 50,000 IDR). They have several different swing levels to choose from. There is extreme swing for $150,000 IDR, and super extreme for $200,000 IDR. Very reasonable! There was no pressure to buy anything. They have a professional photographer on staff for pictures (they cost extra), but again, no pressure. We loved this area and it’s closer to the shopping area! So instead of “Bali Swing,” we went to Alas Harum swing. It was a night and day difference from Bali Swing. There is no entrance fee to see the Lewak and see how the coffee is processed. There is a free tasting of coffees (not including Lewak which is 50,000 IDR). They have several different swing levels to choose from. There is extreme swing for $150,000 IDR, and super extreme for $200,000 IDR. Very reasonable! There was no pressure to buy anything. They have a professional photographer on staff for pictures (they cost extra), but again, no pressure. We loved this area and it’s closer to the shopping area!